A fairy tale…in flowers! 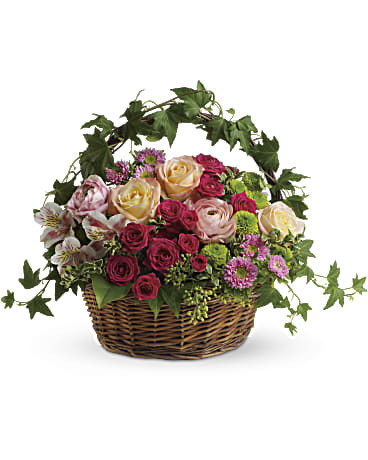 Delicate ivy climbs the handle of this round wicker basket that''s home to a feminine garden of fuchsia flowers. You can almost imagine garden sprites dancing through the country style arrangement! Ivy, seeded eucalyptus and oregonia add lush greenery.